I might not have had much luck finding interesting stuff this year, but that doesn’t mean other people had the same problem. Okay, thought I, let me check it out. I keep coming back to the album again and again as well. And again. And I like the singer just fine. I had been vaguely aware of the name “Osada Vida” for some time, but I had no idea who or what the entity was, or where they hailed from, let alone what they sounded like. Just one of the many references to musicians that pass through my newsfeed on a daily basis, too many to really be able to pursue. 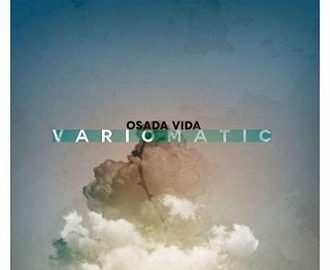 As it turns out Osada Vida is a Polish outfit who have been around for over 20 years, with a handful of albums and various changes of personnel; the current lineup includes a new singer/lyricist, Marcel Lisiak. I will confess to not yet having checked out the back catalogue, so I don’t know how he compares to the last guy — or how Variomatic compares to anything else they’ve done. What I can say is this: whoever they are, they bring a ton of songwriting and musicianship chops to the table. The album is essentially keyboard-and guitar-heavy prog, but it also showcases a variety of other influences: a bit of folk, a bit of jazz-rock, a bit of classical — all intertwined with consummate skill. A showcase track for this is “The Line”, which over its 6 minutes moves from heavy to a smooth instrumental break, ramps it up again, and finally finishes with a little funky fusion. This is a marvellous piece, and essentially is a microcosm of the whole album. Lots of ideas swirl around but they are assembled and presented with confidence and care; melody is honoured. Lisiak’s light, accentless tenor (he sings in English) does fit well with the songs. I don’t know how it would come across live, but it works in the studio. Variomatic is an album of immense sophistication and nuance, impeccably executed, as smooth as the smoothest single-malt, accomplished and as smart as hell, and a joy to listen to every time I put it on. It just makes me feel good to hear it. That being said, I suspect this album will not get anywhere near the attention it deserves. It is an outstanding offering, and is likely to see a lot of future play from me. If I am going to listen to prog, this is what I want to hear: something that sounds fresh and new and doesn’t rehash the well-worn tropes that so many modern prog bands seem to think is necessary. I hope I can convince some other folks to give this album a try.